The Story: In 1928, Massachusetts water authorities began land takings for the construction of the Quabbin Reservoir, in the Swift River Valley. Unknown to the authorities was the fact that, subsisting in the more remote, forested tracts of the valley, there was a secretive band of mixed-race hunter-gatherers who had been there for over ten generations. Mitchell's book is the story of the exodus of this tribe and the young anthropologist who first discovers them. The novel takes the form of a legal deposition, taken at the Everglades City Court House, in 1929, concerning the fate of these people. John Hanson Mitchell has been called "a unique, delightful, and absolutely essential voice," by the New York Times Book Review; "A Thoreauvian wanderer, an engaging writer," by the Washington Post Book World and "a natural story teller..." by the Boston Globe. 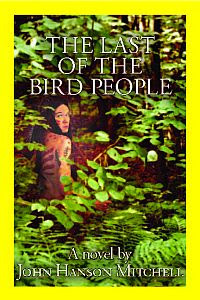 The e-book edition will be available June 20th, 2012 at Amazon and Apple i-books. The paperback edition will be available everywhere November 1. John Hanson Mitchell (http://johnhansonmitchell.com/) is the author of Ceremonial Time: Fifteen Thousand Years on Once Square Mile (Counterpoint) and eight other books on cultural and environmental history, the most recent of which is The Paradise of All These Parts, A Natural History of Boston (Beacon Press). He is also the creator and editor of the award-winning magazine, "Sanctuary", published by the Massachusetts Audubon Society. Mitchell's publication is the tale of the exodus of this group and the youthful anthropologist who first finds them. Nice to read this novel.Thank you so much for sharing this novel.